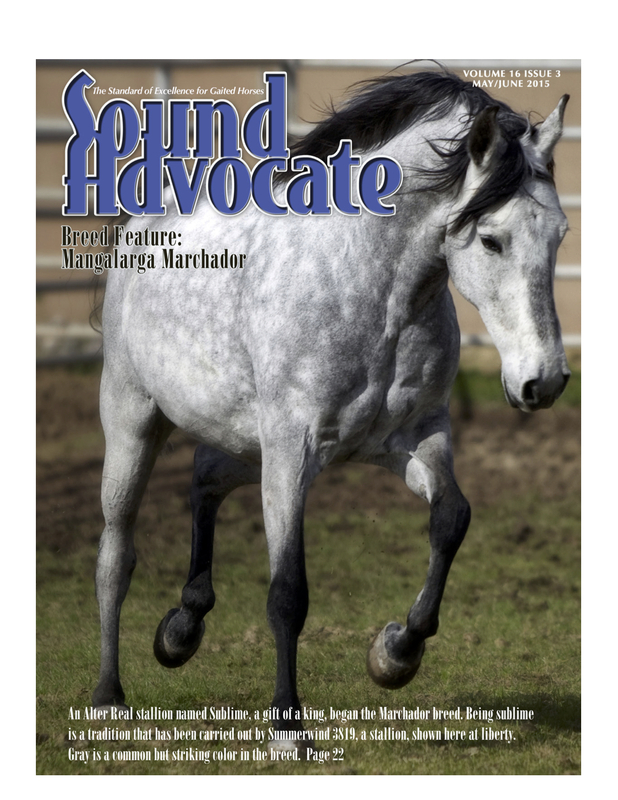 FOSH Sound Advocate features the Marchador! FOSH is the Friends of Sound Horses, an international gaited horse association. They love all gaited breeds and their magazine featured the Mangalarga Marchador this month. Please consider joining this fine association or looking to attend some of their clinics and shows! To read or download the article, click here below to follow the link to the on-line magazine. Koyote Libertas on the cover! Photo credit Tamara Gooch.